Sorry to disappear on you this week. My St. Patrick’s Day was interrupted by a sudden sharp pain, a panicked trip to the emergency room, and an unplanned stay at Cedars-Sinai. Where their firewall somehow prevented me from logging into this site. Not that I was capable of doing much in my morphine-induced haze, anyway. Now I’m finally back home, a handful of kidney stones, a few pounds and a couple thousand bucks lighter. I’m still trying to shake the last of that drug fog and make up for some lost sleep, so let’s skip the Morning Links one more day, and catch up on a couple of recent guest posts. First up is a one from Mike Vandeman arguing against allowing kids to take up mountain biking. While it’s not something I agree with in any way, I’ll let him make his case. As he said in an email to me, you can’t argue with facts. We’ll let you decide just what those facts are. 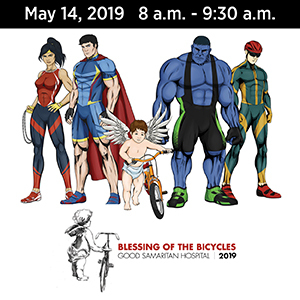 Next, I had planned to share the LACBC’s press release on the tragic death of Elisa Gomez in Monday’s post, so we’ll finish with that today. As you’ll recall, Gomez was killed by a FedEx driver who pulled out from a stop sign while she was directly in front of his truck, then run over after he failed to stop, and fled the scene. A suspect was taken into custody, but no word on an arrest. Then barring any unexpected setbacks, we’ll be back with our regularly scheduled Morning Links tomorrow. first mountain biking lesson! Another became quadriplegic at 13! good enough for mountain bikers? They are all capable of walking…. favor mountain biking, and came to the opposite conclusions. but scientifically, they are worthless. Note: It’s the policy of this site not to post personal contact information; however, Mike Vandeman’s email address has been included at his request. LOS ANGELES – Yesterday morning, Elisa Gomez was hit by a delivery truck southeast of downtown Los Angeles, and left to die in the middle of the street. The 54-year-old bicyclist was riding Eastbound on Washington Avenue at around 8:30 in the morning and was struck from behind by a FedEx delivery truck, which then sped away. This tragedy is indicative of the grim realities faced by bicyclists and pedestrians on our county’s streets. Los Angeles County is known as the “hit-and-run capital of the nation” with 50% of all traffic crashes categorized as “hit-and-run.” The national average is 11%. In 2015, over 28,000 hit-and-run crashes were reported across the county. That averages out to one hit-and-run crash every 18 minutes in Los Angeles County, a number that glaringly shows the risks faced by those walking or biking in our county. Making streets safer for all road users has to be a priority for the City of Los Angeles,” stated LACBC Executive Director Erik Jansen. “Simple steps can be taken to calm traffic and make drivers more aware of vulnerable road users, like people walking and biking. We know how it do it — other cities have shown immense progress building infrastructure to decrease speeds, make turns safer, and build a city at a human scale. Angelenos deserve safe streets and they deserve elected officials willing to show real leadership to make it happen. Elisa was killed a block away from the Washington Blue Line Metro station southeast of Downtown Los Angeles. In 2017, LACBC partnered with other community organizations and Metro to conduct community engagement along the Blue Line to assess the safety and access needs for people walking and biking to stations. LACBC chose to focus on Washington Station, an area surrounded by the High Injury Network, to work to prevent tragedies such as these. Currently, Metro is using the data collected through this process to apply for funding to make infrastructure improvements identified by the community. The widely-accepted belief that people dying on our streets is inevitable is a false one. These tragedies are wholly preventable, and that’s why we call them “crashes” and not “accidents.” LACBC calls upon our city and elected officials to be leaders for safe streets and commit to adequately funding and implementing initiatives like Vision Zero. 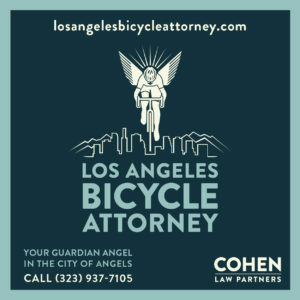 Without their leadership, Elisa Gomez will not be the last bicyclist who will be killed on Los Angeles streets. I reached out to Jansen for further comment, and received the following response. Elisa Gomez didn’t have to die. While the driver is ultimately responsible for running her down and leaving her to die on the pavement, her death could have been prevented by ensuring Angelenos have access to safe streets. We know how to make streets safe, and Elisa Gomez deserved elected officials willing to show real leadership to end traffic fatalities in Los Angeles. We need action, and not just another plan sitting on a shelf. 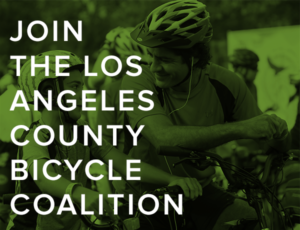 It’s good to see the LACBC take an active lead in fighting for safer streets. Because if there’s any good that can come from this senseless tragedy, it will be keeping it from happening to someone else. We wish you a speedy recovery. Get better soon. Welcome back, begining to think someone would have to get out a ghost bike. Glad you’re back – I was a bit worries there for a second. While I appreciate that you’re posting again, why must you give this man a forum to spew his nonsense? He’s a notorious zealot and has been found guilty of attacking cyclists with a hacksaw. His inclusion of “PhD” (in psychology) to his title is simply a lame attempt to validate his “research”. No better than a PhD in classical literature lending their name to a global warming thesis. I agree with A Grant. Welcome back. Glad you’re going to be okay. Pretty sure there plenty of “price of healthcare” content you could cover now. I like that you’re brave enough to include Mike Vandeman’s “research.” I don’t like it, but it’s good to have some balance, and it’s good for us (cyclists) to see some of the crazy that’s out there against us. I certainly don’t take Vandeman’s rant seriously, but I see portions of it from more well-spoken foes, so this helps me to stay sharp and prepared with counter-points. Yes Mike Vandeman is a well known anti-mountain biking internet troll. He spews his hateful gibberish any chance he gets. While you are recovering …………..
“Should the Law Create a Presumption of Liability for Drivers? 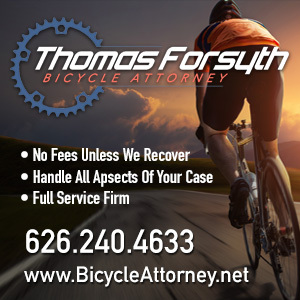 account for the fact that many bicyclists suffer memory loss because of head injuries and have difficulty meeting their burden of proof. Presumptive liability for motor vehicle drivers is not a concept unique to the United States. 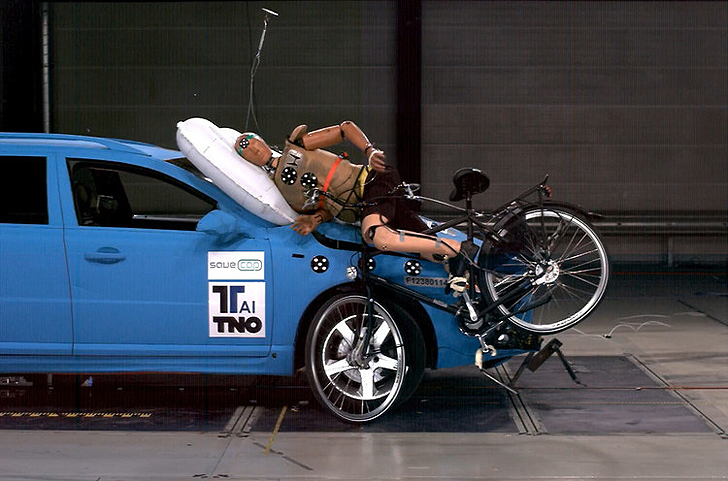 On the contrary, several European countries have adopted legal systems where motor vehicle drivers are presumed liable in collisions with pedestrians or bicyclists, including the Netherlands, Spain, Sweden, Germany, Belgium and France. As intermediate mitigation that would probably balance out on a cost/benefit basis a motorist hood mounted air bag prevent or lessen many deaths and injuries. I think the time for the exterior airbags introduction is now. Broken links repair for comment above. I totally agree. In case it happened, the kids must be very well protected in order to minimize the injuries.